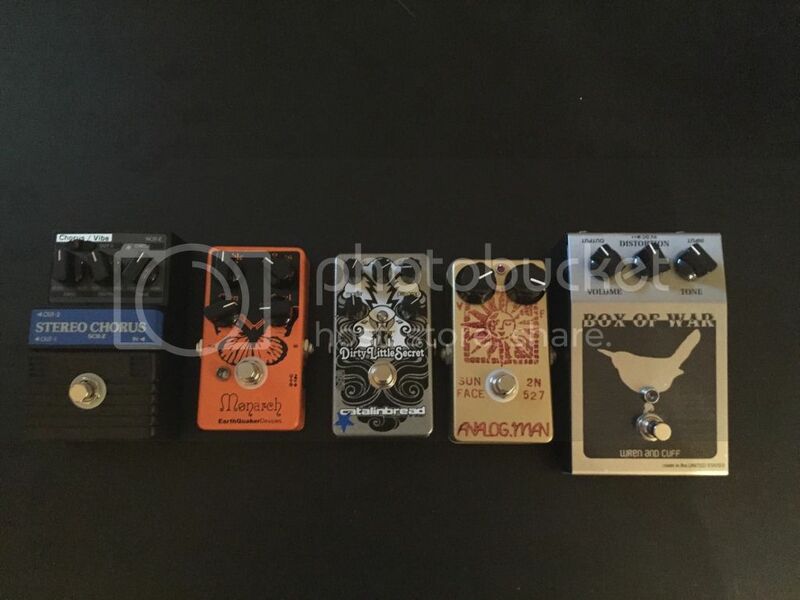 Discussion in 'Pedal Effects Gear Emporium Archive' started by Slideman, Apr 26, 2016. All are in excellent working condition, velcro etc. Home/studio use only for these particular stomps. Price includes CONUS shipping only. Paypal verified accounts only. PM me with interest. If you offer to buy more than one, a 10% discount will be applied. Thanks for looking. I got the Box of War. Fast shipping, great seller.